Board Certified Family Law Specialist Matt Arnold being interviewed on the Legal Forum. This was recorded in Charlotte, North Carolina. Topics discussed include: How to choose a divorce lawyer? How long does a divorce take? How much does a divorce cost? When can a person get an annulment? 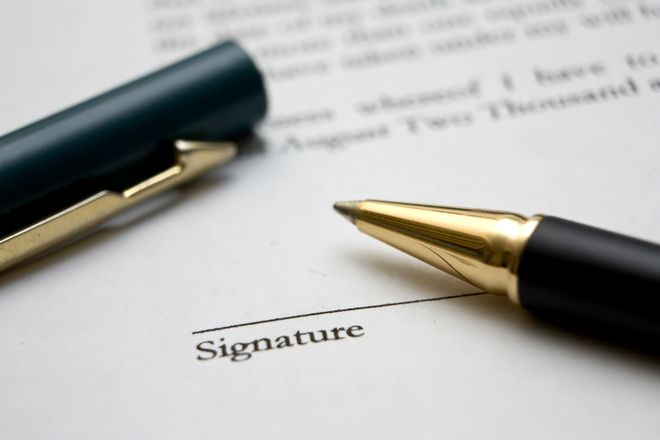 Couples use pre and post-nuptial agreements to help create certainty. Divorce, after all, can be a very uncertain process. Costs can increase due to an uncooperative spouse, issues involving custody and visitation may arise or disputes might involve the division of marital assets. You can’t always predict these problems or individual behavior in advance, which is why couples turn to contractual agreements to try and bring clarity from the chaos. The problem is that these agreements, whether entered into before or after the marriage, can’t be used without limit. There are some things that courts won’t allow a couple to resolve in advance. For instance, a prenuptial agreement cannot be used to decide custody ahead of time. Prenuptial agreements also cannot be used to force a party to do something that’s against public policy, meaning it would be potentially harmful not only to the individuals involved, but to the public at large if such an agreement were enforced by a court. Beyond these limitations, there are also restrictions on how such an agreement becomes effective. For instance, most people understand that an agreement would not be valid if it were forced on someone at gunpoint. Such a signature would be seen as ineffective because it was signed under duress, meaning genuine consent was absent. Courts in Minnesota recently tackled a case that dealt with this issue of genuine consent, though the facts were very different. In the Minnesota case, a couple got married back in 2001 after dating and living together for a number of years. The man, Mr. Kremer, owned a farm that was valued at more than $600,000 at the time. The future Mrs. Kremer worked at a gas station and did not have comparable assets. Mr. Kremer made clear he wouldn’t get married without some kind of contractual agreement protecting his property. Despite making his feelings known, no one was aware that he had been working with an attorney in the months leading up to his marriage to draft a prenuptial agreement limiting his wife’s access to alimony and protecting his farm from division. Three days before the couple and all their family and friends were due to leave for their wedding in the Cayman Islands, Mr. Kremer handed over a prenuptial agreement and told his fiancé to have a lawyer look it over and approve. Mrs. Kremer wasn’t able to get an appointment until the day before leaving, but signed anyway, eager to have her wedding move forward. Fast forward eight years and the happy marriage had come undone. The two decided to divorce and the value of the farm had increased to more than $2 million. Mrs. Kremer now argued that the agreement she’d signed was invalid as she had signed it under duress and coercion. The lower court judge who handled the divorce agreed and said that her husband owed permanent spousal maintenance as well as $750,000 for Mrs. Kremer’s share of the farm, gutting the seemingly rock-solid prenup. Mr. Kremer appealed, and the Minnesota Court of Appeals upheld most of the lower court’s ruling. The majority of the Court found that the husband had used the impending deadline to exert pressure on his wife and deny her an opportunity to negotiate the terms of the agreement. The short turnaround appeared to have been purposeful, as he had spent more than a month discussing the agreement with his attorney. Though courts usually err on the side of supporting these kinds of prenuptial agreements, the recent ruling demonstrates that there are limits. Even though the wife had an opportunity to discuss with a lawyer, the pressure of the wedding plans made a genuine negotiation impossible. The existence of duress was ultimately enough for the court to invalidate the prenuptial agreement, much to Mr. Kremer’s chagrin.